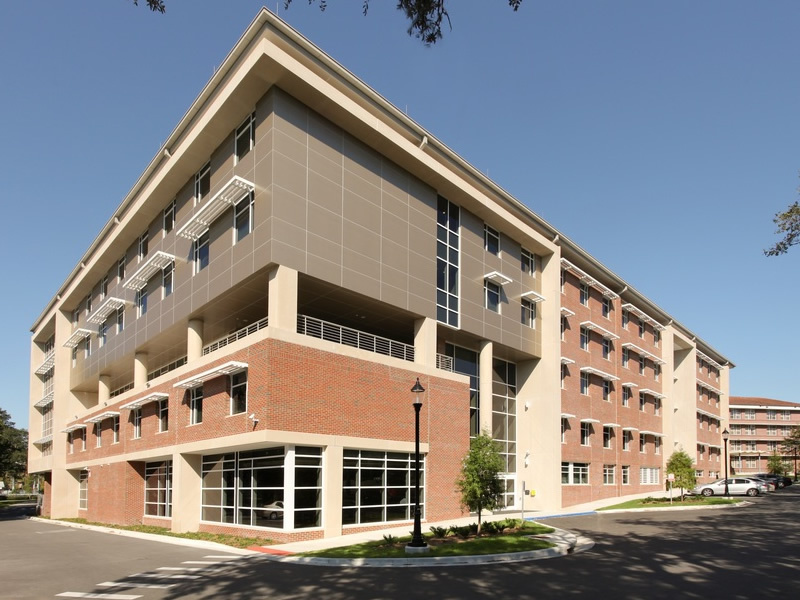 Structural Engineers Group, Inc, was chosen to provide structural design and detailing for the 68,000 SF, Five Story Residence Hall located in the southeast area of campus at the University of Florida. 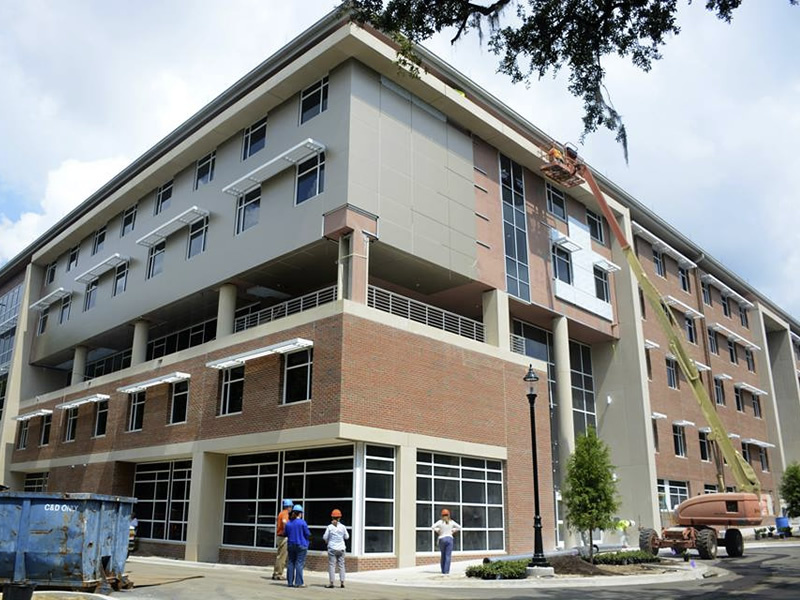 Completed in Summer of 2015, this student housing project provides an additional 255-bed spaces for undergraduate students as well as ADA suites students with physical disabilities. The structural design services provided by Structural Engineers Group, Inc, included the structural framing systems for the building such as the deck, beams, girders, columns, load-bearing CMU walls, and continuous concrete wall footings and isolated column footings. The ground floor concrete slab is primarily 4” thick with portions 6 to 8” thick in mechanical areas. Exterior structural walls are made of CMU which vary in strength due to the applied loading and height of the building. The primary floor system is 8” prestressed hollow core with a 4” concrete topping with 3500 psi minimum compressive strength. Solid prestressed slabs were also used in select locations for support of suspended disability equipment. The roof system is comprised of 1.5” wide rib roof deck supported on pre-engineered, pre-fabricated cold-formed steel roof trusses. To help reduce truss member sizes, interior bearing walls were provided to reduce the span lengths.